An illegal act was caught by an agent on video as proof where impostors were caught assisting the security guards in taking out the cargoes. 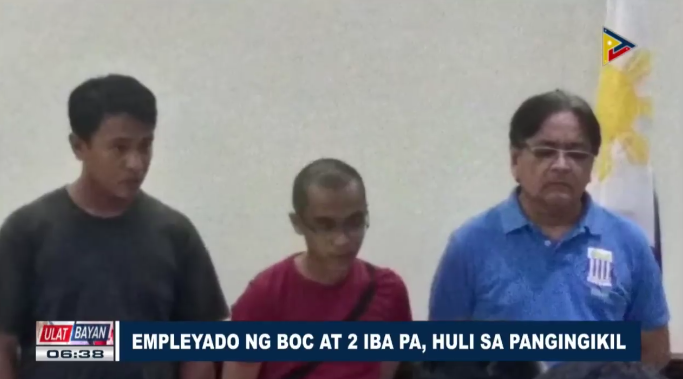 Commissioner Isidro Lapena, has identified suspects as “bogus” Manila International Container Port (MICP) employees named Bryan John Cruz and Efren Jaramillo,Jr. 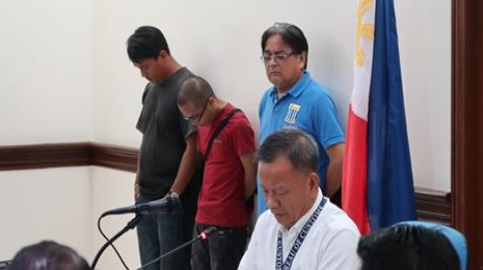 together with an MIPC Security Guard II Allan Pangkalinawan that were arrested by the Customs Intelligence and Investigation Services (CISS). ESS director Yogi Ruiz said "We have received directives from the commissioner to validate reports of port congestion at MICP, however, while inspecting we saw one PID personnel and two "hao siaos" who are facilitating the containers in the yard," and mentioned that the suspect pays the two cronies P2,000.00 per day for the service of guarding the containers. Lapena said that they will build a strong case against them and as for this moment Pangkalinawan was already relieved from office and added that it was still not clear where's Pangkalinawan sourced the 2,000.00 he was paying the two, “We still don't know the source of the Php2,000 salary per day, chances are it came from tara or extortion,". Then mentioned Lapena that if found guilty of an illegal act Pangkalinawan will be removed from service.